A dependable ice-making system is a critical component of any seafood operation. Teknotherm provides a variety of ice-making solutions including drum ice machines, slurry ice, and more. 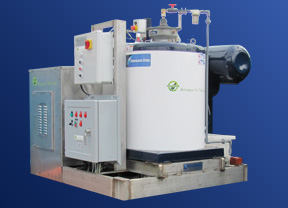 Teknotherm delivers both horizontal and vertical drum flake ice machines for marine and land based applications. We can custom build turn-key solutions with North Star, Oref or Buus ice makers. 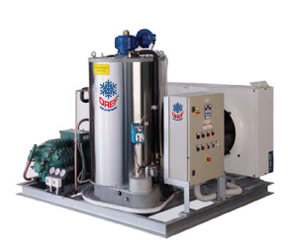 Pictured here is a deck mounted flake ice machine with a stainless steel enclosure.